Your senior year is such a special time in your life and you are one-of-a-kind! You should have senior portraits that go with your unique personality and show off your individuality and special interests. During your session you get to just be you, relax and have fun creating the beautiful pictures you deserve. Senior portrait sessions begin at $425 and include digital files as well as high quality professional products so you can show them off. Every senior package is completely customized to ensure you get exactly what you want with photos that showcase who you are as a person! I am a big believer in printing your photos. When they are only stored in a folder on your computer they don't come to life and provide joy every time you walk into a room and see them hanging on the wall, or offer a trip down memory lane when you flip through the pages of an album. 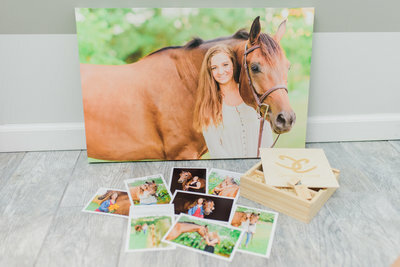 I offer a variety of products to show off your beautiful photographs! All products offered are created in professional labs that provide archival quality! Flip through to see some of my favorite ways to display your photos for years to come. Albums are some of my favorite products to create for clients. 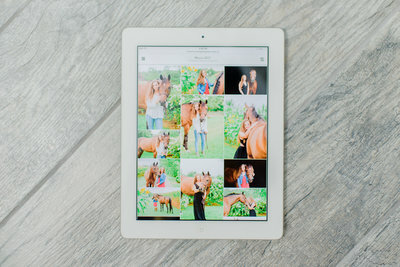 They offer a beautiful way to share photos you will cherish forever. 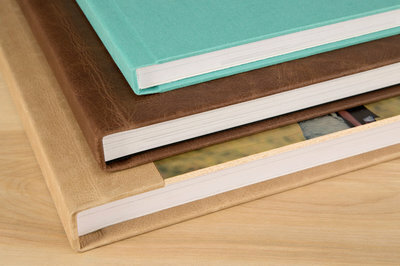 Albums are hand crafted & leather bound with lay flat pages. 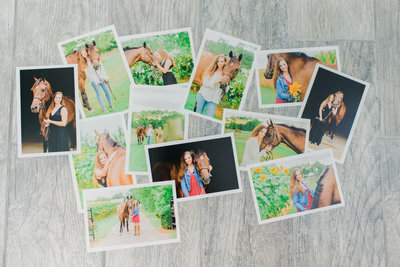 If you want to see all of your photos in print, while also providing a luxurious and easy way to preserve those memories and show off you and your horse, an album is your best choice! 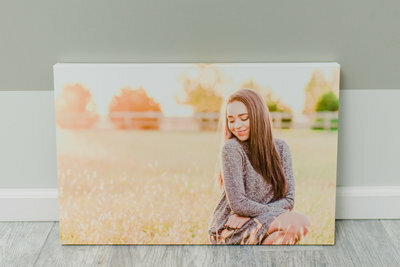 Canvases are such a beautiful way to display your photos in your home or barn! Canvases are printed on the finest quality materials and are UV tested to ensure the color will stand the test of time. I offer a variety of sizes so you can fill that empty space on any wall with a perfect fit! 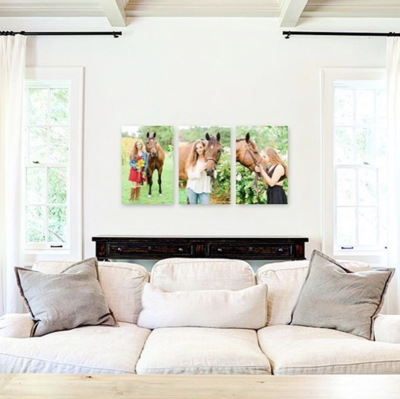 If you have a big empty space on your wall where you would like to show off more than one of your beautiful photos, I can help you create the perfect combination of canvas sizes, along with the best grouping of photos, to make a gorgeous gallery wall in your home. All prints are printed on premium photographic papers meant to endure the test of time. They come ready to be framed and displayed in your home or barn. To see what a full senior session looks like check out the blog! 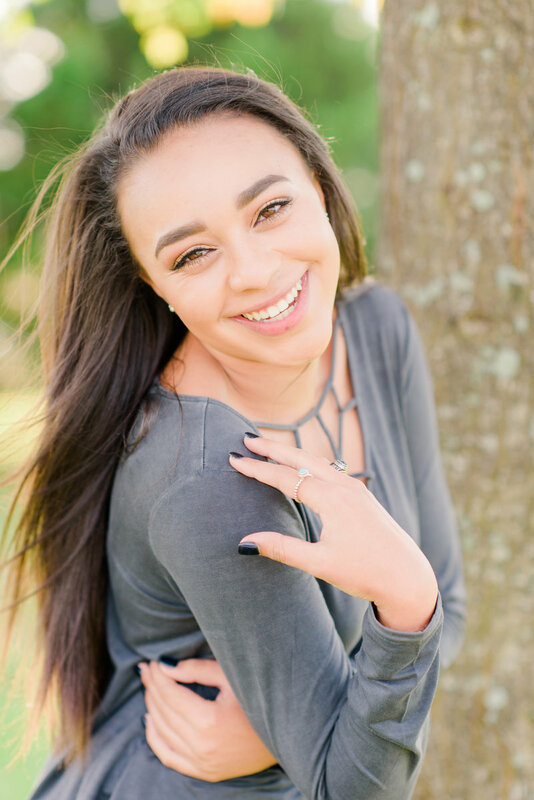 Below are some of the most frequently asked questions about senior portrait sessions. If there are any other questions you may have I'd love to answer them for you! Click here to email me a question! 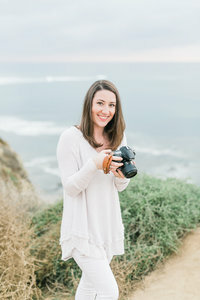 Why Should I Invest in Senior Portraits? It means so much to me to create portraits of you during your senior year, the close of one chapter of your life. I have created a whole blog post on this topic. Please visit the blog to read more on why this is something every senior should have. I am currently booking sessions anywhere from 1 to 12 months out and only take on a limited number of sessions per month to ensure my clients get the best experience possible. To make sure I am available during the time of the year you want, I recommend contacting me as soon as you are interested in booking. A retainer of $150 is due with your signed contract to reserve your session date. The remainder of the balance is due the day of your session. If you are ready to book your equestrian session, choose your package, contact me at catherine@catherinecranephoto.com, and send the retainer to reserve your date! We can reschedule your session if the weather is not cooperating. Sunny and overcast days are both great for photographs, but rain will put a damper on things. Should I have My Hair and Makeup Done Professionally? Professional hair and makeup is definitely something to consider for your session. It not only will make you feel extra confident and beautiful, but the professionals know how to make you look your best for pictures. 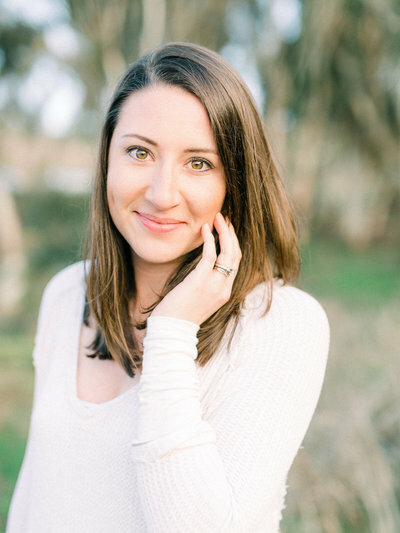 I have some great tips to prepare for your senior portraits on the blog. Just you, your outfits and any small props you want to incorporate. A brush and touch up makeup is always good to have. See more on the blog. Does a parent need to come with me to my session? It is totally up to you if you want a parent or even a friend to tag along during your session! After the session I will post a few sneak peeks on Facebook and Instagram (with your permission). 3-4 weeks after your session I will share my favorite images from your session on my blog, and a few days after that I will send you an email to your online gallery which will contain all of the edited high resolution photos from your session. You will be able to print, download and share the images from your online gallery. Can I Share the Photos from the Session on Social Media? Absolutely!! I love it when clients share their pictures with friends. The photos from your session will be yours to share as much as you'd like, wherever you'd like! Credit to Catherine Crane Photography is always appreciated. What if I don't Live Near you, But I Want a Session With you?